In our earlier “What is compression moulding?” explainer, we gave a brief overview of the compression moulding process, highlighting it as a precise and potentially rapid process for producing high-quality composite parts in a range of volumes. Here, we are going to look in more depth at how compression moulding can be used for the production of high-performance thermoplastic composite components. What do we mean by high performance? Specific performance requirements obviously vary across industry sectors and, within these, across different components. In general, however, we are talking about components which are required to withstand large mechanical loads and which might also be expected to encounter extreme temperatures and/or harsh chemical environments for extended periods of time. From a materials point of view, this means we are talking about engineering thermoplastics (PA6, PA6,6, PET, etc.) or high-temperature thermoplastics (e.g. PEEK, PEKK, PAEK, PPS, PEI) with woven, multiaxial or unidirectional reinforcements. Where are these materials used… and why? 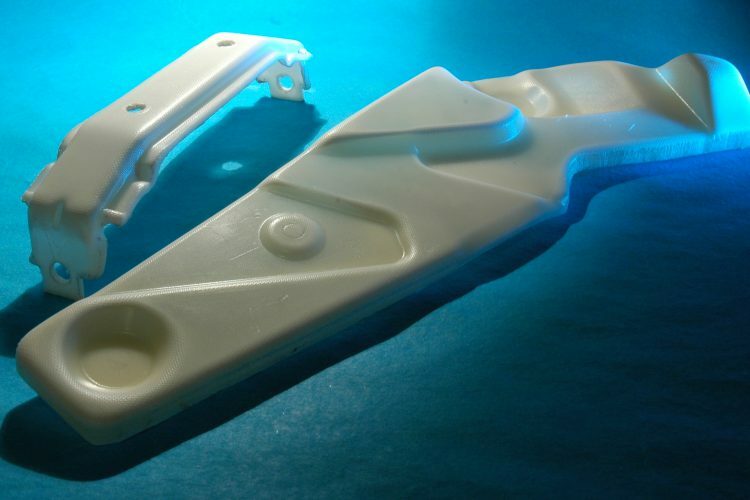 Offering a combination of high strength-to-weight ratio, chemical resistance and relatively straightforward processing (notwithstanding the initial capital outlay required for processing machinery and tooling), thermoplastic composites, in general, are growing in popularity across a number of sectors where lightweighting and short cycle times are key targets. A good example of this is the aerospace industry, where high-performance thermoplastic composites are used for parts ranging from ribs, stringers and brackets to larger-scale wing leading edges, horizontal tailplanes, rudders and elevators. These applications typically utilise the more specialist thermoplastics (such as PEEK, PEKK and PAEK) to provide excellent chemical resistance, high-temperature performance and outstanding toughness (to resist impact loads and resist delamination during service). When compression moulding thermoplastic composites we typically start with a pre-consolidated fibre-reinforced polymer “organosheet”. 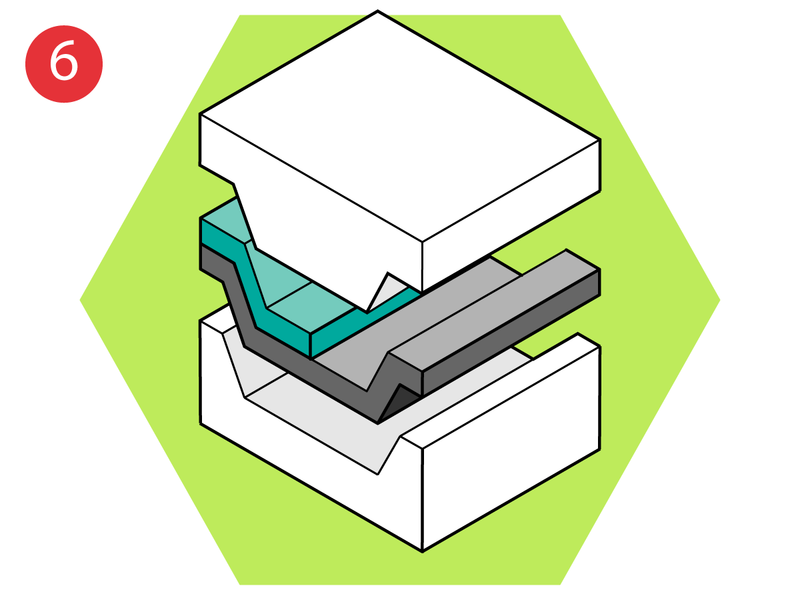 This organosheet is pre-heated and then transferred to a pre-heated tool, where the part is formed and allowed to consolidate before being removed from the tool. 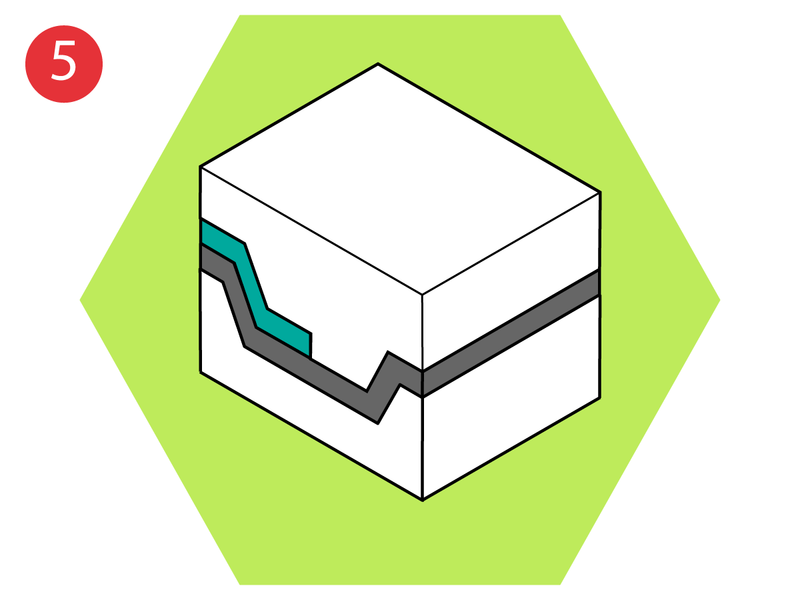 The illustration below shows how the temperature of the organosheet/formed part varies during each stage of this process. For optimum technical performance and maximum process efficiency, it is important to be aware of, and allow for, these variations. For pre-heating, the organosheet is usually clamped and tensioned in a blankholder. 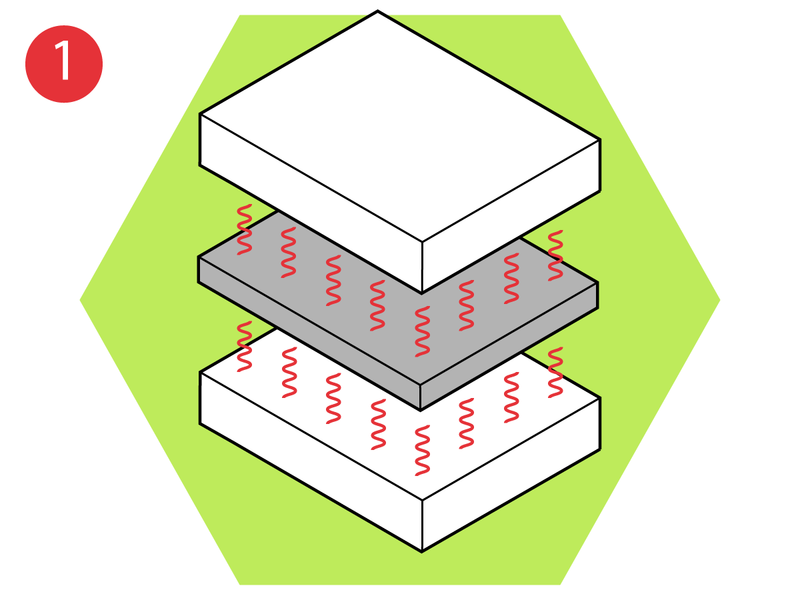 During this stage, the organosheet tends to sag significantly as the temperature increases above the melting point of the thermoplastic matrix (this sagging is difficult to eliminate, as blankholder systems can only apply tension on the edges of the organosheet, thus leaving most of its surface unsupported). 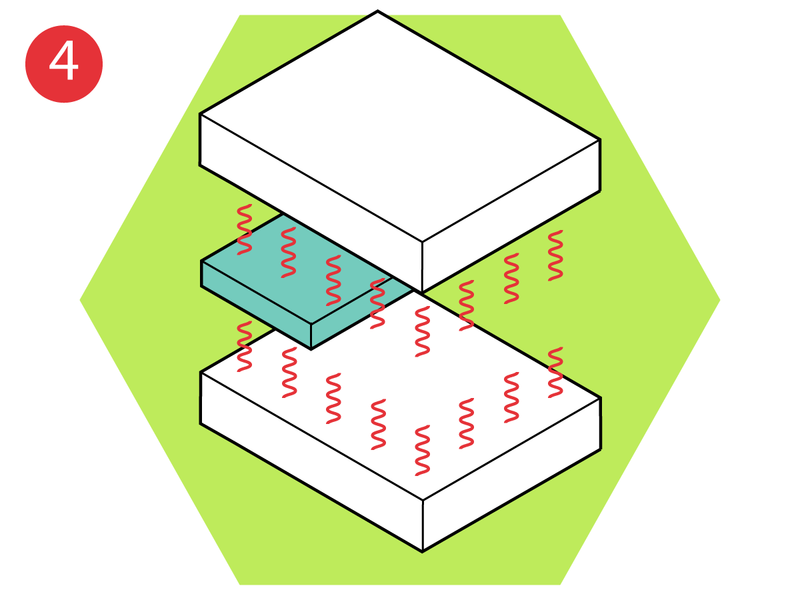 Depending upon the heating method used, sagging* can result in temperature variations between the top and bottom surfaces of the organosheet. It is therefore important to be aware of this, and to ensure that the desired moulding temperature is reached across the whole laminate before transferring to the press. For thicker laminates, in particular, it is also important to remember that there may be a significant delay before a uniform through-thickness temperature is reached. *Excessive sagging can also cause material handling problems, where the organosheet snags on the tooling when transferring from pre-heating to forming. In extreme cases, sagging can cause the organosheet to fall off the blankholder. 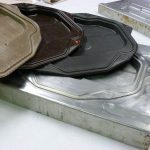 Once the organosheet has reached the desired temperature, it is transferred to the press and formed into the shape of the mould. During this stage, the temperature of the laminate very much depends on the temperature at which the tooling is set. From the point of view of minimising cycle times, the ideal situation is to fix the tool at a constant temperature, somewhere between the glass transition temperature (Tg) and melting temperature (Tm) of the polymer matrix. In theory, this allows the matrix polymer to flow when pressure is applied, but also allows the part to be removed “hot” and left to cool through free surface convection. For some materials and/or more complex parts, however, having the tool temperature set below Tm does not permit sufficient flow of the polymer matrix, resulting in poorly formed features, defects and voids. In these instances, it is necessary to increase tooling temperature in order to reduce matrix viscosity, and thereby improve flowability. The drawback of this is that the part must then be allowed to cool before being removed from the tool. Cycling the tool temperature in this way can lead to significant increases in cycle time. Inter-ply shear refers to the movement of individual plies relative to each other within a laminate. It is the main deformation mechanism which allows the formation of bends or single curved shapes. 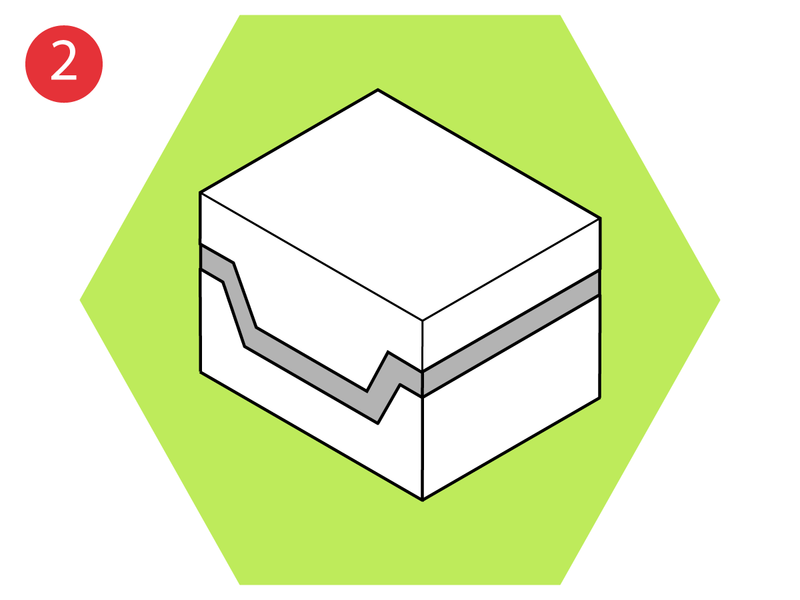 If the layers cannot slide over each other, buckling defects can occur. 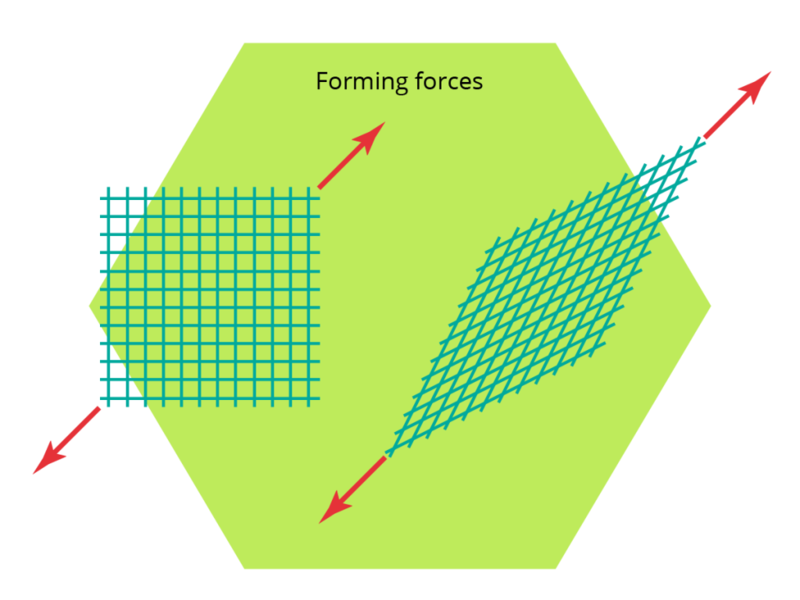 The extent to which inter-ply shear occurs depends upon a number of factors, the first of which being the viscosity of the matrix polymer during the forming process, where lower resin viscosities result in reduced resistance to inter-ply shear. Therefore, to avoid fibre buckling defects, one could look to increase the tool temperature and/or the organosheet temperature. However, if increasing these set temperatures is not an option (for example because it would lead to excess sagging or unacceptable cycle times), the alternative option is to minimise any temperature decreases which occur during the process, for example by reducing the transfer time between pre-heating and forming operations or by increasing processing speed. This last option, however, comes with a “but”… if we increase processing speed, we also increase the applied shear rate … and if we increase the applied shear rate, we also increase the shear stress required in order to allow plies to move over each other (due to the viscoelastic behaviour of thermoplastic composites). The result can be more buckling, rather than less! Finally – although to a lesser extent than resin temperature and shear rate – fibre orientation can also influence the ease with which neighbouring plies can slip over each other. At interfaces where adjacent plies have the same fibre orientation, fibres may “migrate” from one side of the interface to the other, thereby increasing the resistance to inter-ply slippage. This deformation mechanism is perhaps one of the most important aspects when designing press forming processes for complex shaped parts. The extent at which fibres can rotate in a fabric layer is limited and when fibres can’t rotate any further, they wrinkle … and wrinkling is one of the most commonly reported defects when forming composite parts into 3-dimensional shapes. Laminate lay-up – quasi-isotropic laminates tend to wrinkle more easily due to shear constraints imposed by plies oriented in multiple directions. Fibre reinforcement – unidirectional plies typically have much lower shear capability than woven fabrics, so it’s more difficult to shape a unidirectional laminate into a complex geometry than a laminate comprising woven fabric layers. Laminate clamping method – blankholders consisting of grips and/or springs are usually good at keeping the laminate tensioned while being formed, which often mitigates wrinkling. However, the position at which grips and/or springs are located strongly affects the laminate forming behaviour as well, so changing their position can make a difference between a defective and defect-free part. Shear rate – similarly to inter-ply slip, it is related to the forming speed, with higher shear rates tending to lead to increased intra-ply shear resistance. Laminate temperature – strongly influencing resin viscosity and maximum shear deformation. Dedicated process simulation packages now exist, which aim to predict whether wrinkling will occur. However, as there are very few materials for which the intra-ply shear behaviour at processing temperatures is fully characterised, these simulation packages can often rely on the user being able to generate and input their own data. Given that it is not always straightforward to generate the material property data required by simulation packages, hands-on process optimisation experiments often remain the most suitable means of studying the influence of multiple process parameters on part quality. With a knowledge of the various factors and influences discussed above, product prototypes can be produced from different material configurations, using differing forming speeds, mould temperatures, blank clamping methods and tooling arrangements (e.g. metal-metal or rubber-metal). 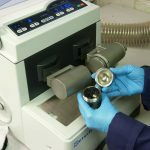 Visual and microscopical defects can then be evaluated and decisions can be made on the most effective part lay-up and process design. 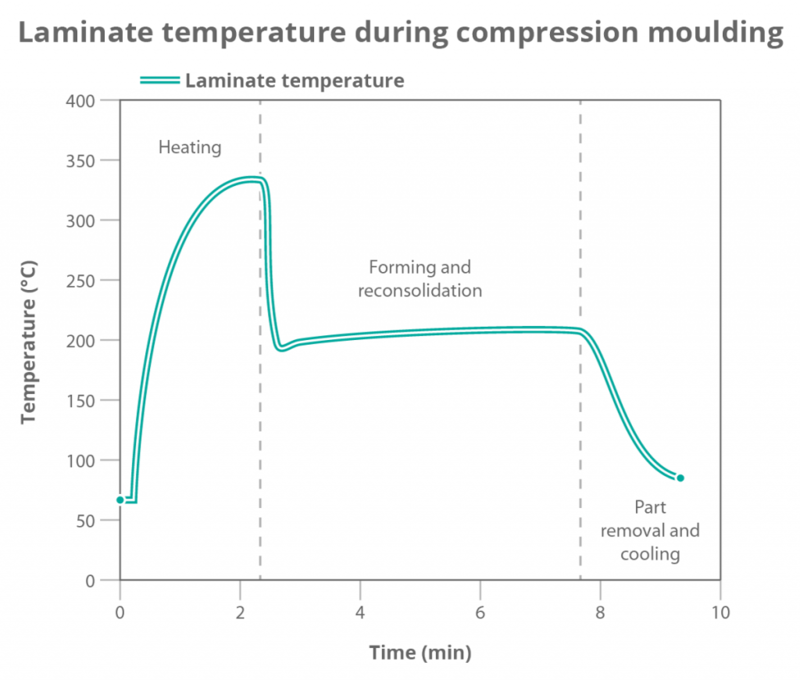 Controlling the temperature of the organosheet during processing is critical … and, to do that, we must first ensure that we are accurately measuring the temperature throughout the compression moulding process. This will typically require the use of multiple thermocouples, strategically placed across the starting organosheet. For thicker sections, it might also be advantageous to produce organosheets with thermocouples embedded mid-plane. One option for reducing weight is to tailor the thickness of structural components; highly loaded regions require thicker sections, while in less heavily loaded regions the thickness can be reduced. 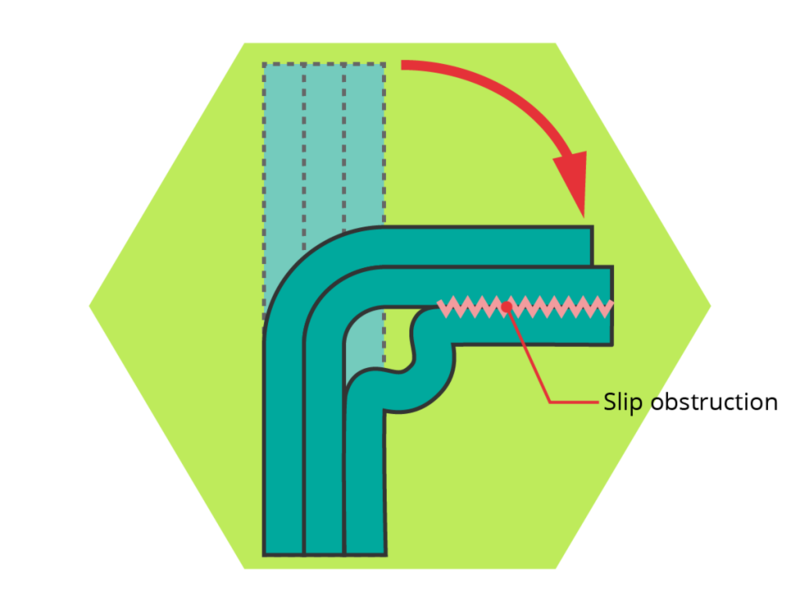 Although not traditionally associated with compression moulding, variable thickness components of this type can be achieved by employing a multiple step forming technique. 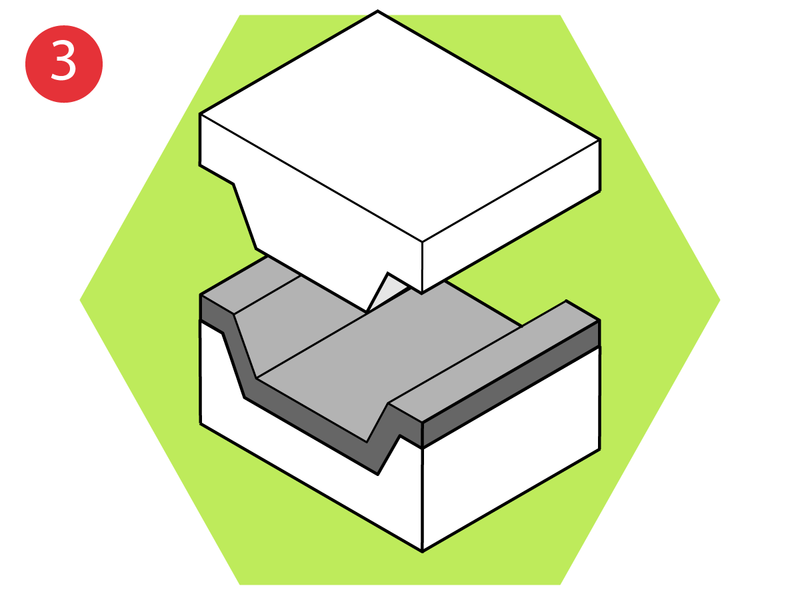 Using this technique, a part is built up in stages in the same tool; at each stage a laminate is formed and bonded to the previous one. To do this, the tool temperature needs to be above the melting point of the polymer, otherwise the new layer would not bond to the previous one. Then, only in the last forming step, the part must be cooled under pressure before it can be removed from the tool. This method can also be exploited to manufacture quasi-isotropic layups into complex shapes and mitigate wrinkling defects. Instead of forming such a layup in one step, multiple thinner laminates or layers can be formed in multiple steps. An important requirement of this method is to use rubber tooling, in order to provide uniform pressure across the part surface.